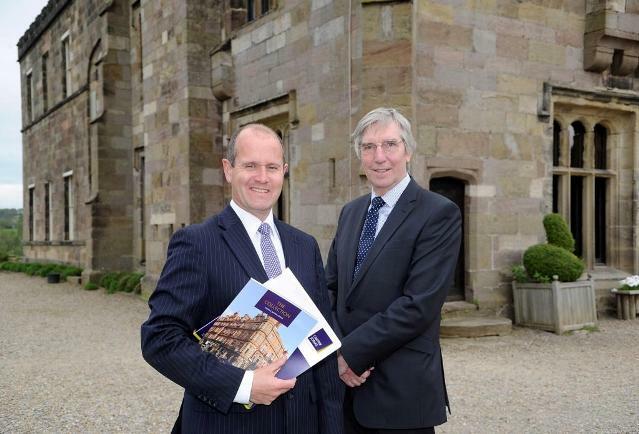 National property consultancy Carter Jonas has appointed partner David Boulton to head up its Northern planning team. He replaces John Goodwin who has been head of planning in the North since 1996 and who retains a partnership role. David joined Carter Jonas in 1999 and has been a partner in the planning and development division since 2007. He was previously a planner in local government in Gloucestershire and County Durham. Based in Harrogate, the Northern planning team operates across offices in Harrogate, Leeds, York and Kendal, in conjunction with agency and development surveying colleagues. The team comprises eight chartered town planners with experience in both local government and private practice and a wide local knowledge and understanding of the planning system in the region. Carter Jonas specialises in site assessment, project development, preparation and negotiation of planning applications for prominent landowners throughout Yorkshire, as well as private individual and corporate clients. Expertise includes land promotion and projects in the residential, commercial and industrial sectors, as well as managing strategic land promotion across the North. The team works independently or as part of a multidisciplinary team, as required. “I have been heavily involved in the promotion and management of our business in recent years and I’m delighted to be taking over the reins at this exciting time for the Northern planning team. David, who is originally from Staffordshire, has lived in the region for 25 years and is a member of the Royal Town Planning Institute (MRTPI). He graduated from the University of Wales in Cardiff with a Town Planning degree and a Town and Regional Planning Diploma. Outside of work David enjoys sport and is secretary and coach for a youth football team, a keen cyclist (and instigator of the Carter Jonas Yorkshire Pedalthon) and an aspiring new golfer.